In the world of making money online, there are so many ways to make money online, particularly in the “get paid to” space. With so many companies out there, some good, some bad, I always test the most popular programs and let you know exactly what I think. Sure, my thought isn’t everything, but if you have been visiting this website for a while, you know I just offer my honest advice. 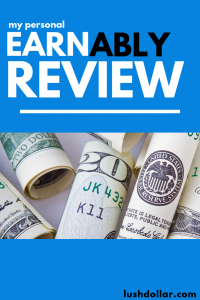 In today’s review, I wanted to test out a company known as Earnably, a company said to offer instant rewards online for completing offers, watching videos and even taking surveys. While it’s free to join, the question truly is, Should I? 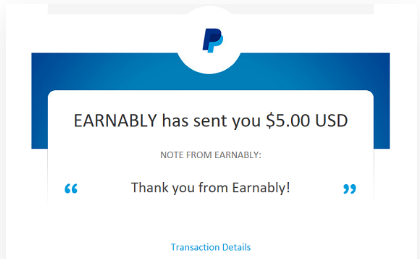 Earnably is an online rewards and cashback website that’s free to join, allowing you to earn money while taking surveys, watching videos and much more. At first look, it appears to work like a lot of companies I already talked about such as PrizeRebel, InstaGC and even Swagbucks. Partnering with more than 30+ partners, the company lets you redeem your points at any time for instant rewards and a variety of gift cards. One thing, at first glance, that appears to set them from most of their competitors is that you can cash out at any time. I will be sure to get into this later in the guide to see if that’s really true, however. 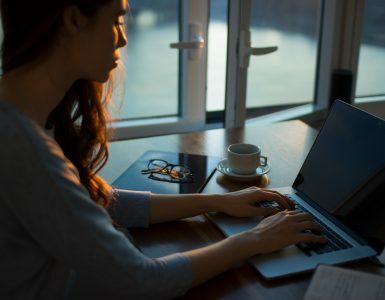 For now, if you like the idea of taking surveys, watching videos or even completing offers, all while being compensated for your time, it could be one to consider. 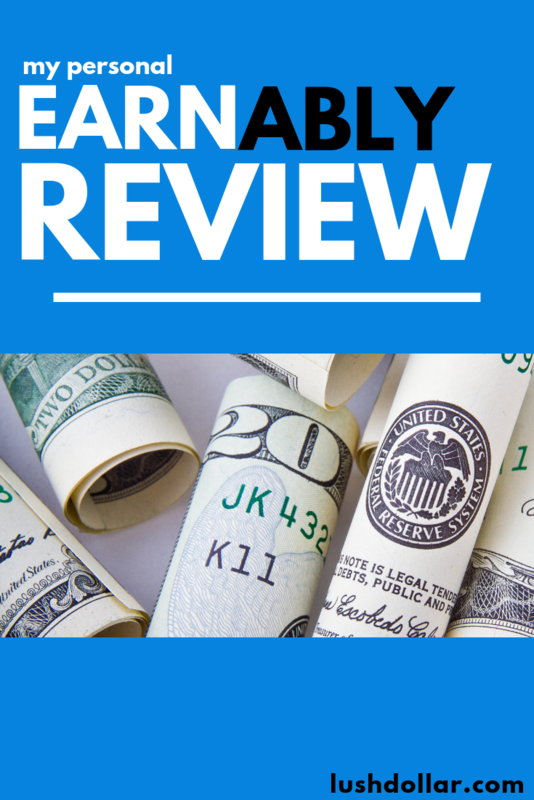 Earnably Review – Legit or Scam? At first glance, the Earnbly website had a very clean interface. I loved the homepage and it was nice that they laid out everything you needed to know about the company all in one place. I would have to say it’s one of the nicest designed GPT websites on the web, so kudos for that. 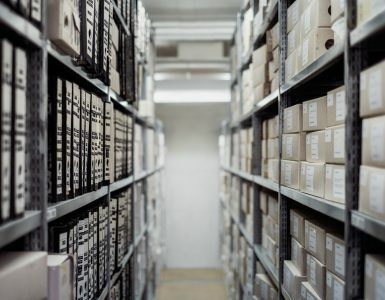 On the homepage, before you even signed up, you could take a look at sample offers, redemption methods and even some of the third-party offer walls they work with. It offered enough information, but you couldn’t dig deep into what matters most — what these offer walls paid on their website. Signing up was incredibly easy, and as Earnbly mentioned, it would take less than a minute to do, which appeared to be true. After I confirmed my e-mail, I was then ready to dive in and see what they had to offer. These offer walls often show up on just about any GPT-like website, such as instaGC, PrizeRebel and so forth, so there’s nothing unique here. And, while there’s nothing wrong with these offer walls, you’re going to want to choose one company and complete these offers via these offer walls with that one company only so that it’s easier to build your balance. Why bounce around when you can complete these offer wall offers with one company and earn even more rewards? Plus, it’s easier to focus on one particular program that pays the most. This is why it’s crucial to compare rates. 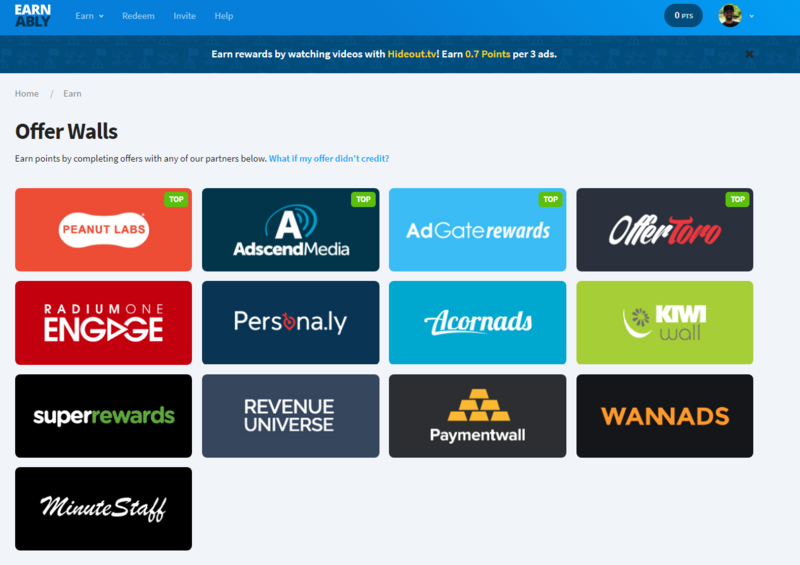 These companies can offer varying reward rates, however, so if you want to work with Peanut Labs, for instance, then I would recommend you look a few of the top GPT sites such as Swagbucks, GrabPoints, PrizeRebel, etc, and compare the rates. As you can see, Earnably wasn’t even close in terms of value, so again, if you’re going to use these offerwalls, do make sure you’re getting a good value, because, as you can see with this example, I could have made almost double with another company. This isn’t always the case with all offers, but when I researched a few of them, Earnably often fell at the bottom of the barrel. 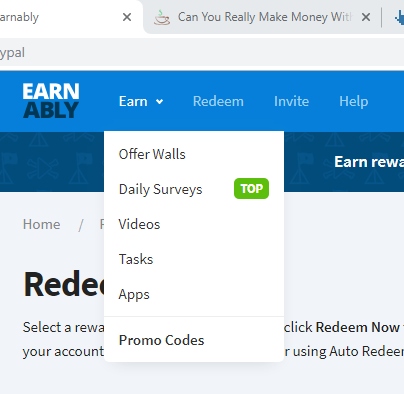 Aside from the commonly seen offer walls on most GPT websites, Earnably offers other ways to earn, including daily surveys, videos, tasks and apps, all of which I will break down below. In the “Daily Surveys” category, it appears Earnably will direct you once again to some popular offer wall portals, such as YourSurveys, Peanut Labs, Pollfish and more. Again, if you’re going to take surveys, it’s imperative that you compare the rates to other competitors. Looking at my numbers above, I can only assume the survey rates are going to be much lower than the competitors as well, but this won’t always be the case. I didn’t see any unique surveys to Earnably at the time of writing this, so I can’t really recommend using this company as your go-to for surveys. Instead, I recommend companies that work with a variety of these offer walls as well as their own unique surveys, such as Swagbucks and Survey Junkie. Plan on earning anywhere from 30 to 80 points, most of which will take at least five to 20+ minutes of your time. In the videos section, much like the surveys section, the company, once again, works with a variety of third-party offer wall companies. Again, nothing wrong with it, but do keep in mind that watching videos for cash pays a relatively low rate. Yes, it can be done, but I’m talking pennies per hour. For instance, on a banner ad, the company noted that they would pay 0.7 points per three ads. If each advertisement lasted 30 seconds, that’s less than a penny in value for every 90 seconds. This rate did seem to be quite competitive if you’re into this sort of thing, but again, it’s not really worth your time. I guess if you want to watch some entertaining videos and at least get rewarded for your time, it could be something to consider, but I would put it far down on my list, that’s for sure. 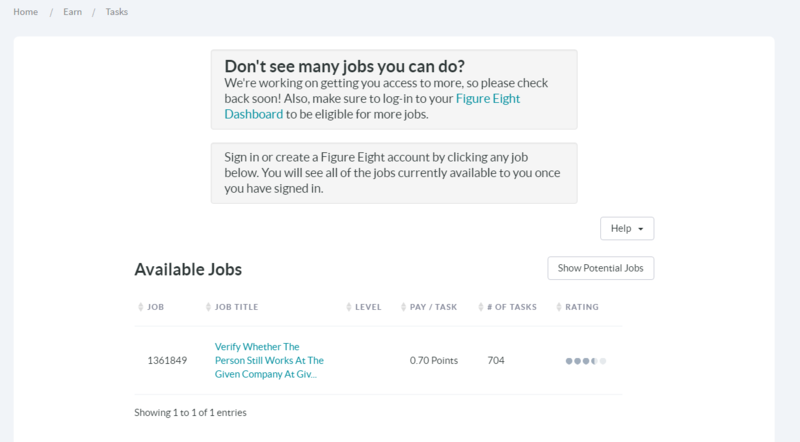 In the tasks section, it appears Earnably works with yet another third-party company by the name of Figure Eight. Here, if you’re familiar with mTurk, you can take a glance at simple jobs and complete them for the pay mentioned. For example, when I was writing this, you could verify if something works at a company and get paid 0.70 points for every successful submission. With tasks, most members report making about one point per three minutes. Again, not much, but it’s something to at least look at to see if anything is worth your time. If you like the idea of completing tasks, you will make much more money with mTurk, so I recommend you at least check there to capitalize on your time if you like the idea of completing small tasks. And, as one of the last way to earn, the “Apps” section gives you the opportunity to earn cash to download and test apps. From first glance, yet again, they work with a third-party by the name of AdGate rewards. To start making money with these, you need to save your devices and then follow the directions as to how to make money while downloading the apps. Usually, you will have to download an app and/or reach a certain level before you’re able to cash out. There wasn’t anything available while I was writing this, but from my research, apps, depending on what you had to do, could earn you up to 100+ points. Again, I wouldn’t recommend this route as there are many other options if you like the idea of downloading an app and getting paid for your time. With so many options, be sure to check out my how to get paid apps for free post as I write about the many companies that reward you to test apps. Lastly, the promo codes option allows you to add bonus points and/or even free points to your account instantly if you know of a special code. The bonus codes offer a bonus on top of what you earn during a set duration while the free points simply earn you the points specified. For example, you could earn 1% for the next 24 hours, etc. Many websites often do this, and in order to find these codes, the company recommends you follow them on Facebook, Twitter and make sure you’re subscribed to their newsletter to stay in the loop. How Much Do You Get for Your Points? 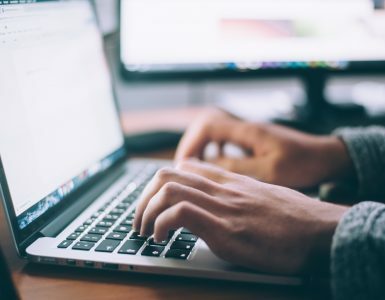 The main website proclaims you can earn “easy, instant rewards,” but this isn’t actually the case as it can take up to three days to successfully receive your reward. Some members report even longer, but this seems to be rare. Just keep that in mind. While this tends to be the industry standard, don’t come into this thinking you can earn $5 and cash out within minutes, it isn’t going to happen, especially if you’re a new member. As long as you have this mindset, you won’t be bashing your head when your reward doesn’t arrive instantly. 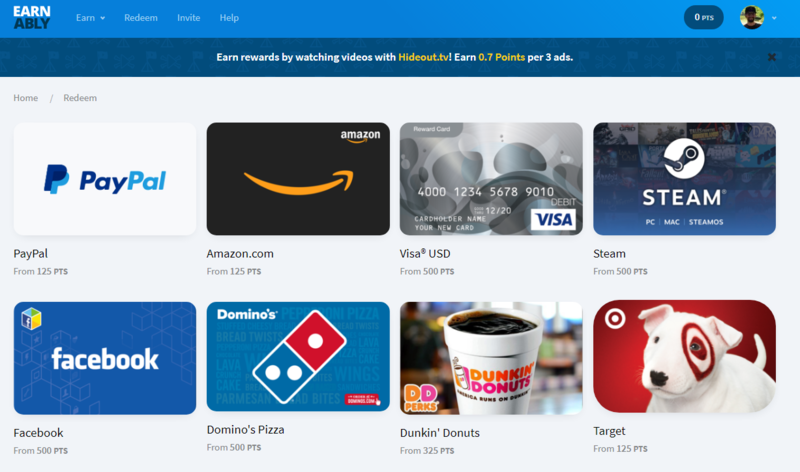 Like most GPT websites, Earnably offers a wide variety of gift card options, including the most popular choices, including PayPal, Amazon, Visa gift cards, Steam and even bitcoin options. Depending on what you want to choose as your cashout options, PayPal and Amazon, for instance, started at 125 points, whereas many of your gift card options started anywhere from 500 to 1,000 points. Keep in mind that these redemption offers can change, but are as accurate as of the posting date noted above. Now, you’re probably wondering what the heck your points are worth, and like many of these websites, a lot of them use a point value, which can be confusing at times, I get it. If you want to cash out via PayPal or Amazon, the redemption rate greatly depends on how much you want to cash out for at the time. For instance, if you wanted to cash out for $1, your points would be worth about 0.008 cents, but if you wanted to cash out for $5 or $10, your points will be worth $0.010. To make things easier, every point you earn will be worth about $0.008 to $0.010, however, your points could be worth a pinch more if the company was holding a sale, for example. While I was writing this, for instance, I could choose $50 as my cash out option for 4975 points, making my points worth a smidge more than $0.010, but it wasn’t too much more. Again, to play it safe, just picture each point being worth a penny and nothing more. One thing that sets this company above the rest is that you can choose what’s known as an “auto redeem” option which allows you to cash out automatically anytime your balance hits a certain amount. For instance, if you wanted to auto redeem Paypal at $5, you would click on the auto redeem button to set it up. Then, once your balance hits $5, they will automatically send you $5. Now, if you do choose this option, you will have to pay a 1% fee, so I only recommend it if you plan on referring a lot of people and feel you will forget about your balance growing. I just don’t see the 1% worth it when you can simply log in and redeem on your own. As the last part of your menu tabs, you are allowed to invite friends to Earnably using your own unique link. And, in doing so, the company will reward you 10% of everything that your friends earn for life. This won’t include bonus or promo codes, however. 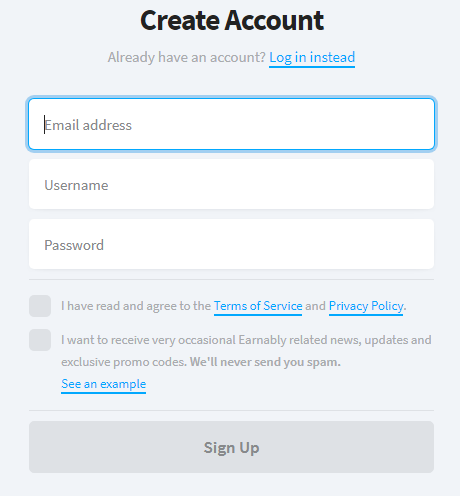 As mentioned prior in the auto redeem section, if you feel you can invite a lot of friends and don’t plan on using the website yourself, then it would make sense to set up the auto redeem feature, but if you feel you won’t be able to refer many, then it’s best to redeem on your own. Regardless, if you can think of anyone who wants to join, the 10% is nice, but again, as I get into in my final thoughts, I feel you’re better off referring your friends to much better competitors such as Swagbucks, Survey Junkie and many more. Earnably is available to users from the US, UK, Canada, Australia and Europe, but there are quite a few countries they don’t work with. To see the full list, click here. If you plan on using the website, be sure to take advantage of the bonus levels. The more you continue to earn, the more you can earn on top of what you’re already earning. As mentioned, don’t forget to follow them on Facebook, Twitter and even their e-mail newsletter to take advantage of special bonus codes. As with all of my reviews, it isn’t always about my personal views, so in this section, I combed the internet and included what other people are saying, both good and bad. This is a legitimate company that will pay you for the points you earn, however, I personally don’t recommend them for a plethora of reasons. For one, the company only uses third-party offer walls, meaning you’re not going to see anything that’s really unique. As I mentioned earlier in my comparison to other sites that use the same third-party offer walls, you’re better off considering GrabPoints or PrizeRebel if you want to make more money for the same tasks. But, if you really want something unique, then Swagbucks is hands down the way to go. Secondly, these offers just aren’t worth your time. Most of these offers will just spam your email inbox and it will take you 45 minutes to earn maybe $2. This isn’t a knock against Earnably, but you’re much better off investing your time elsewhere, such as a non-phone job from home or even transcription. Even mTurk could be a great choice. My point here is that there are many options that could make you much more money per hour. 5/10While the website is cleanly designed and very easy to use, I just can’t recommend them, even though they will pay you..
For that reason, I’m going to give them a 5 out of 10. Again, they will pay and they are not a scam. I just feel the point values are extremely low and the offers are just not worth your time. As always, if you have joined or are even thinking about joining, feel free to vent in the comments below!